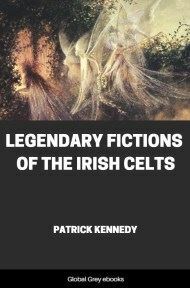 This scholarly, but very readable, book covers what was known about Druids and Irish Paganism at the end of the nineteenth century. 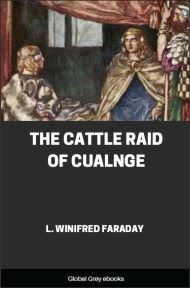 It discusses many of the concepts which later would be utilized by the Wiccan movement to construct Celtic Neo-Paganism. This question has agitated the minds of the learned for a long period; and various, as well as contradictory, have been the replies. Tradition preserves their memory as of a pious and superior race, prominently associated with the British Isles and France, and, in a lesser degree, with Belgium, Holland, Germany, and the lands of Scandinavia. Much romance has been long attached to them. We hear their chants in the Stone Circles. We listen to the heaven-inspired utterances of the Archdruid, as be stands on the capstone of a cromlech, in the eye of the sun, surrounded by the white-robed throng, with the bowed worshippers afar. We see the golden sickle reverently cutting off the sacred mistletoe. We follow, in imagination, the solemn procession, headed by the cross-bearer. We look under the old oak at the aged Druid, instructing disciples in mystic lore, in verses never to be committed to writing. We gaze upon the assembly of kings and chieftains, before whom the wise men debate upon some points of legislation. Then, again, we recognize the priests as patriots, resisting the invaders of their homes, and loudly chanting the Battle Hymn. We are at the convocation of Brehons, in their deliberations on law, and, awestruck, wait upon the observers of sun and stars, or of the signs of the times in the investigation of terrestrial phenomena. We go with them to the judgment upon offenders of an unwritten code, and witness the dread ordeal, or the fiery human sacrifice. But our inquiry is, What has Irish tradition or literature to say to these interesting details concerning Druids? Were the Irish Druids like those of whom we read belonging to other lands? Did they spring up from among the Irish people, or were they strangers from another and distant shore? Could they have formed a distinct community, like the tribe of Levi, intermarrying among themselves only? Amidst much ignorance, and even barbarism, can the Druids have been distinguished by the learning and refinement attributed to them? 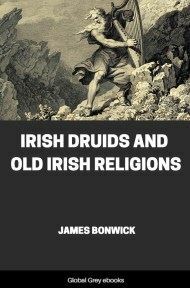 With our conceptions of the ancient religions of Ireland, should we credit the Druids with the introduction 'of Sun worship, Serpent reverence, and the adoration of Idols? Were they, on the contrary, new corners, arriving subsequent to the establishment of these various forms of paganism, and merely known a little before the rise of Christianity in Erin? Druidism has been of late years so persistently appropriated by the Welsh, that English, Scotch, and Irish have seemed to have no part in the property. Even Stonehenge has been claimed by the Welsh, on the very doubtful story of the Britons, Cæsar's Teutonic Belgæ, being driven by Romans to Wales. The true Welsh--the Silures, or Iberians--were in the land before the Romans appeared. Gaels from Ireland, Cymry from Scotland and England, Belgæ from Germany, Bretons, Britons, Saxons, Normans, English, Irish, and Flemings go to make up the rest. We know nothing of Welsh prehistoric races. Even allowing cromlechs, circles, and pillar-stones to be called Druidical, there are fewer of these stone remains in Wales than in Scotland, Ireland, England, or France. As to other antiquities, Ireland is richer than Wales in all but Roman ruins. It is hard upon Ireland that her Druids should have been so long neglected, and the honours of mystic wisdom become the sole possession of Wales. 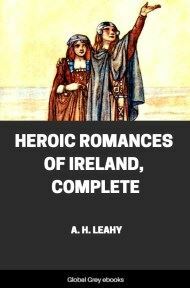 It is true, however, that the Irish have been less eager about their ancestral glory in that aspect, and have not put forward, as the Welsh have done, a Neo-Druidism to revive the reputation of the ancient Order. 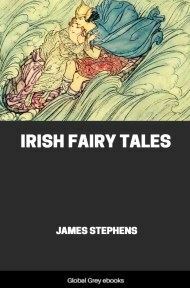 But Ireland had its Druids, and traditionary lore testifies that country in the acknowledgment of those magi or philosophers. The Welsh have a great advantage over the Irish in the reputed possession of a literature termed Druidical. They assume to know who the Druids were, and what they taught, by certain writings conveying the secret information. The Irish do not even pretend to any such knowledge of their Druids. The Welsh, therefore, look down with pity upon their insular neighbours, and plume themselves on being the sole successors of a people who were under true Druidical teaching, and whose transmitted records reveal those mysteries. The revival of the ancient faith, in the organization called Druids of Pontypridd,--having members in other parts of Wales, but claiming a far larger number of adherents in America,--has given more prominence to Druidical lore. The fact of the late simple-minded but learned Archdruid, Myfyr Morganwg, a poet and a scholar, after thirty years' preaching of Christianity, publicly proclaiming the creed of his heathen forefathers, has naturally startled many thoughtful minds. 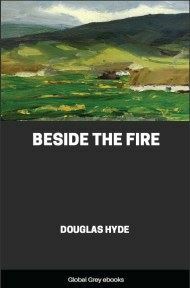 The writer can affirm, from personal knowledge of Myfyr, that he was no pretender, but an absolute believer in the tenets he taught; it is not therefore surprising that students of anthropology should inquire into this revival. Such teaching is quite different from the Neo-Druidism which arose a few years ago, and whose imaginative interpretation of writings in Welsh, under the names of Taliesin, &c., were endorsed by several distinguished ministers of the Christian religion. Neo-Druidism was brought forward at Eisteddfods, and works were written to show that Welsh Druidism was simply the truth as recorded in the biblical account of the Hebrew Patriarchs.